Led by a team of certified coaches of our official Training Partner “The Bootcamp Club”, the Spartan Workout Tour will benefit both the fitness rookies and the seasoned obstacle racers. Besides learning new training techniques while meeting new people, you’ll also receive the exclusive “I Am Training For A Spartan Race” T-shirt. Wear it with pride while you continue preparing for your race! Want to get familiar with “obstacle racing”? You can! Spartan organizes the Workout Tour worldwide. The official Training Partner “The Bootcamp Club” provides this official introduction to Spartan in the Netherlands. Are you unsure whether participation in the Spartan Race is the right thing for you? Then sign up for this spectacle. On 4 May 2019 we will visit various cities throughout the Netherlands. In an hour we will give you a good impression of what you can expect at the Johan Cruijff ArenA on Saturday 20 July for a modest fee of € 10. Participants also receive an official Spartan shirt. And if you decide to purchase a ticket for the Spartan race, you will get back the costs of participating in the Spartan Workout Tour. Deal? Sign Up Now- you can find all locations on this page. Ready for a good warm-up? 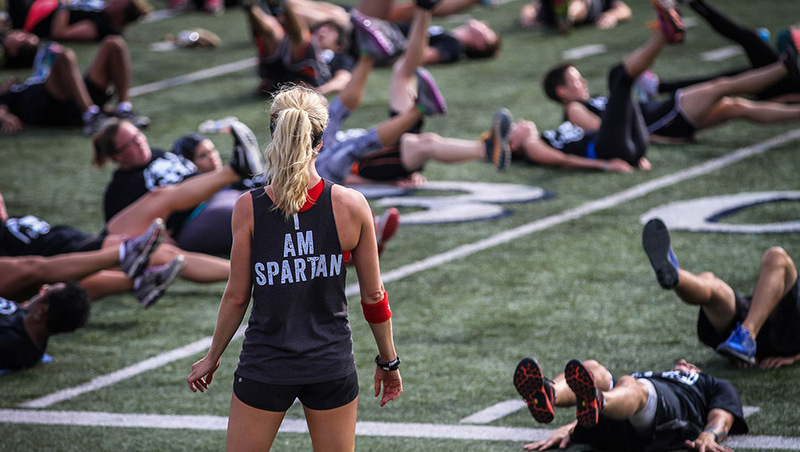 Join the big kick-off of the Spartan Workout Tour on Saturday 20 April. The Bootcamp Club provides a sixty minute full body workout and puts your muscles under maximum tension. Overcome the first obstacles and submit to challenging boot camp exercises. You will already get a taste of the race. And that in the Johan Cruijff ArenA itself! A unique opportunity. You do not want to miss this! Sign Up Now for free!